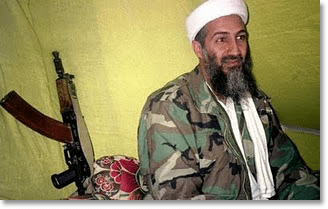 Soon after The killing of Osama Bin Laden by a US special operations team on Monday attracted a lot of attention from Internet users. Scammers now use Osama bin Laden’s death to trick users and make them participate in rogue surveys. “SHOCKING NEW video of OSAMA BIN LADENS DEATH!! When you click on it, the link takes to a Facebook page which urges the user to like and share the link with your Facebook friends, before you can watch the “shocking” footage.By doing so the link spreads across the social network, and instead of a shocking video you are taken to rogue survey which you are told you must complete before you can go any further. The scammers earn money every time a survey is completed, and that’s why they want you to share the link with others. To tell you the truth, I don’t believe that Ben Laden was killed right now. It happened earlier, but now it was a kind of show to all the world. Because there are a lot of contradicting facts to me. I don’t know the reasons for it. Sorry,may be I am just wrong. I hate scammers. Although I hate all kinds of terrorism and think that Laden should have been punished,I hate scammers who play and try to earn money on someone’s death. And I hate rogue surveys. Thanks for the information. They are using the current events as their tool for self interests. Hi Praveen, thank you for entry. To be honest, I love this kind of trics. This kind of scam is perfect and forcing me to be on guard.